Discussion in 'Alternatives to iOS and iOS Devices' started by John55455, Mar 3, 2013. 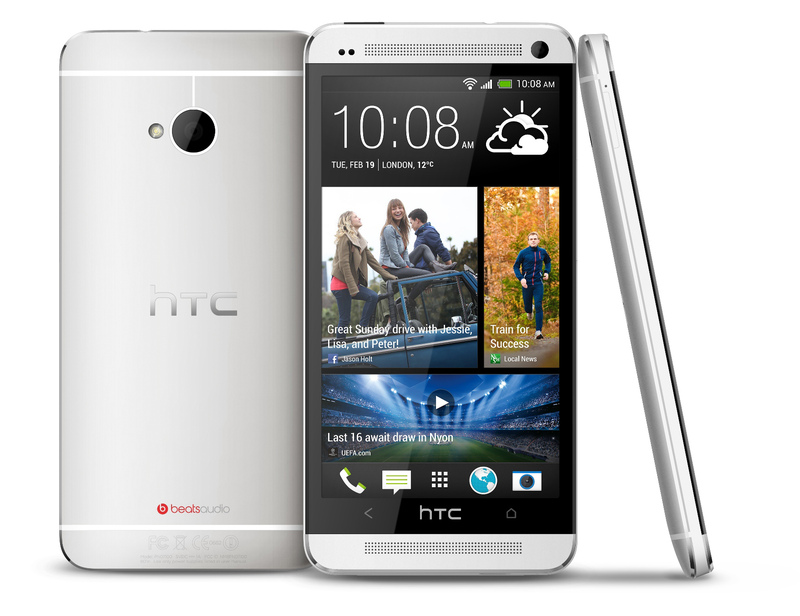 Does the new HTC one match the iPhone in design (appearance)? I'm so excited for this phone. It's the first phone I've ever seen that matches up to the iPhone design wise. It just looks high-quality like the iPhone, and it has a nice metal back. This is much better than the cheap plastic ugly Galaxy S3 design (I still like the S3 for everything else). This will be a tough year for Apple IMO. First two quarters no expected releases (according to many sources + that really accurate analyst). Apple finally has competition in it's design department from HTC. Feature wise from the S3. This entire post has just been my opinion, obviously. Do you guys think the HTC matches the iPhone in design quality? Closest I have seen but still quite some distance off it. Personally I think the front of the device lets it down. Matches? I think it exceeds the iPhone in appearance. I really like the small front bezels. But the back would be perfect too if it weren't for the color Beats logo. It draws more attention than the HTC logo. Bad design decision there IMHO. I think the design is great especially knowing it's a one piece aluminum design, and the dual speakers as well. The aluminum is a better grade, and you have to have the beats logo there, it's a selling point. That phone would be perfect if it were 4.3" screen, but overall the design is better than the iPhone, the all metal back and the curved back is more ergonomic. I really like it but it still doesn't match the level of coherence in the iPhone design. And the logo has no business being on the FRONT of the device. No way, it is looking way better than the iPone! I think it would look fantastic in black but Apple probably patented black phones surprised HTC can do white. Don't want to confuse consumers into thinking its an iPhone. Of course they can do black. I love this design and I always think HTC's build quality is very good, but their update support is woeful - you wait forever for a new Android firmware update with them. This year will be exciting for mobile devices.. I prefer black colored phones but the silver one looks awesome. I dont think that is really all that good looking a device. I think the Sony Xperia Z is much better. I was all set on getting a Z but after trying it out in-store the poor viewing angles of the screen, lack of gorilla glass - with how really smudgy the device gets as soon as you touch it put a dampner on it, and remain skeptical over the merits of the covers for the ports. Yes they work for waterproofing, but it is Sod's law that the charging port cover would be first o go, or that if listening to headphones and putting it in your pocket - pulling t back out you could catch the headphone cover stuck on something and cause it to snap off etc.. It's a lovely design initially, but those concerns over the longevity and practicalitys put me off it. Some say the ZL has better aesthetics. This isn't the first time we're seeing an all unibody aluminum casing. HTC always makes a good looking phone. Both the One X and Inspire were more aesthetically pleasing than the iPhone. Finally an Android phone with a STUNNING design. I just can't get over how ugly the icons are.. who is in charge of that? I'm really starting to think they are related to someone in the iOS division of Apple. Seriously that is the BEST they could come up with.. someone needs to be fired. This is the best looking phone I've ever seen and the OS puts both Windows 8 and iOS to shame. If this thing comes in at least 32gig It will be damn hard to resist. It's definitely coming out with a 32GB model. The One thing(Pun intended) that bugs me about this phone, is the off centered charging port on the bottom. Would it have been that hard to put this in the center of the device? The off centered home button bugs me more.